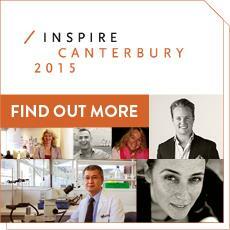 Inspire Canterbury brings you the inspirational stories of world-changing, world-leading Kiwis as they take on the world. Be inspired by the personal challenges and victories these exceptional individuals have encountered on their path to global success across business, technology, medicine, philanthropy, sport and more. Victoria Ransom - her company Wildfire Interactive was acquired by Google in 2012 for a reported $350m, she was named one of Fortune Magazine's Most Powerful Women Entrepreneurs in 2012 and honoured at the White House with other world class "immigrant innovators". Audette Exel - she was elected as a "Global Leader for Tomorrow" by the World Economic Forum and recognised by Forbes as a "Hero of Philanthropy"